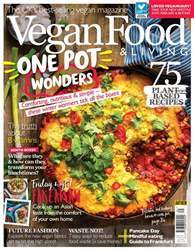 Digital Subscriptions > Vegan Food & Living Magazine > Feb 2019 > What is a Bento? A bento is based on the Japanese everyday meal. That is, rice bowl in one hand, eating it chopstickful by chopstickful together with bites of many small dishes, served in many small bowls. Each dish is made to taste, look and feel different, while still complementing each other and the rice. The very simplest example is one bowl each of rice, miso soup, grilled vegetables and pickles to eat with the rice. Even though there are a few elements, each can be made very simply (and often appreciating the natural form and flavour of each main ingredient). But, as you may have guessed – there’s a lot of washing up! A bento is the boxed-up version of this way of eating. Rice, yes, because it is the Japanese (and Asian) backbone, and many small dishes, yes, because that is how the rice is made interesting to eat. Food history tells us that while my ancestors were hard at work harvesting crops from the land, grains were the overwhelming bulk of their diet. Other dishes would have been accents, treats of whatever was available at the time. So, we have rice, we have small dishes. Now is it a bento? Almost there – we need to pack it in a box (more about the box itself soon), another thing that makes it a bento! In Japan, visual presentation is very important, in food and in culture in general. As with many other activities, packing bento is rooted in practicality and blossoms in attraction.